WooCommerce store owners require constant support and assistance in terms of the plugins and functionalities they are using. In the recent times, there have been cases where WooCommerce store owners have come up with an issue regarding Paypal. One of our customers had been using WooCommerce UPS Shipping plugin to handle his shipping requirement. Ideally, the process of calculation of total cost has two phases. Product Cost is based on the cost of the product that store owners have to add on the Edit Product page. Also, if there are multiple products added to the cart, the product cost is multiplied by the product quantity. However, the shipping cost is calculated in a different manner. It is based on various factors defined by different carriers. Some of the factors include the weight of the package, source and destination address, package dimensions, etc. Once the shipping cost is calculated, the total cost is shown on the cart page. This is the cost that the customer has to pay while placing an order. WooCommerce actually sends the shipping cost and the product cost separately to PayPal. It is then updated to the PayPal. However, the issue seems to be with the updated versions of WooCommerce (v.2.6 and above). 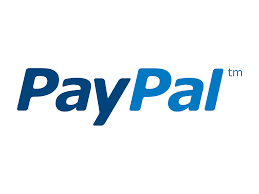 Since the shipping cost is sent to the PayPal exclusively, and there is an option to configure shipping rules in PayPal. So, if the store owners have configured shipping rules in PayPal, there is already a mechanism that does not transfer the shipping rates from WooCommerce to PayPal. As a preventive measure of this issue, store owners can either remove all the shipping methods configured in PapPal or they can follow the link here to disable those shipping rules. This way, the shipping rates will be transferred to PayPal by WooCommerce and will be included in the payment. So this article is about the issues faced by WooCommerce UPS Shipping plugin users, who are not getting the shipping rates to show on their PayPal account. This article will help you to understand the process of total cost calculation in WooCommerce and how to transfer the shipping cost successfully to PayPal.